So within the past 24 hours NASCAR has released the first look into the NWAAS Div. I national points standings. For the first time in about 29 straight weeks we have a new face leading the top 500 late-model stock cars throughout the country! Anthony Anders (#36) of Easley, South Carolina has a pretty commanding lead (148 points) over second place contender Dillon Basset, Jr. Anders so far has 16 starts, 8 wins, 14 T-5’s and 15 T-10’s for a total of 518 points. Anders will look to continue adding to his points lead at tracks like Hickory, Greenville and Anderson. Anders told NASCAR that he and the team will focus on the national points this year and understand that means one thing… WINNING RACES! Charles Edward (C. E.) Falk, III got his start in ’06 running in the Hooters Pro Cup series (known now as the Cars X-1R Pro Cup) running six races with a best finish of eleventh. That following year Falk decided to race full-time in the Weekly Racing division, more specifically Langley Speedway. After a winless 2008 season Falk stepped his game up and won more than half on Langley’s Late Model feature events. 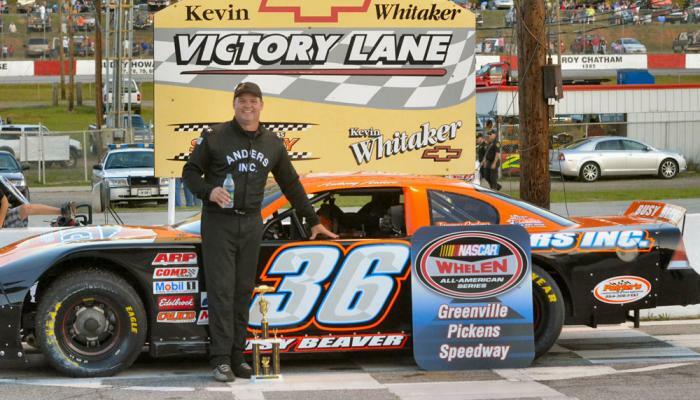 Falk, a four-time Langley Speedway track champion, has 49 total Late Model stock car wins. One of those win was the prestigious 2010 Denny Hamlin Short Track Showdown run at Richmond International Raceway; the race that puts some of the best late model stock driver on the same track in the “same cars” as top cup drivers. 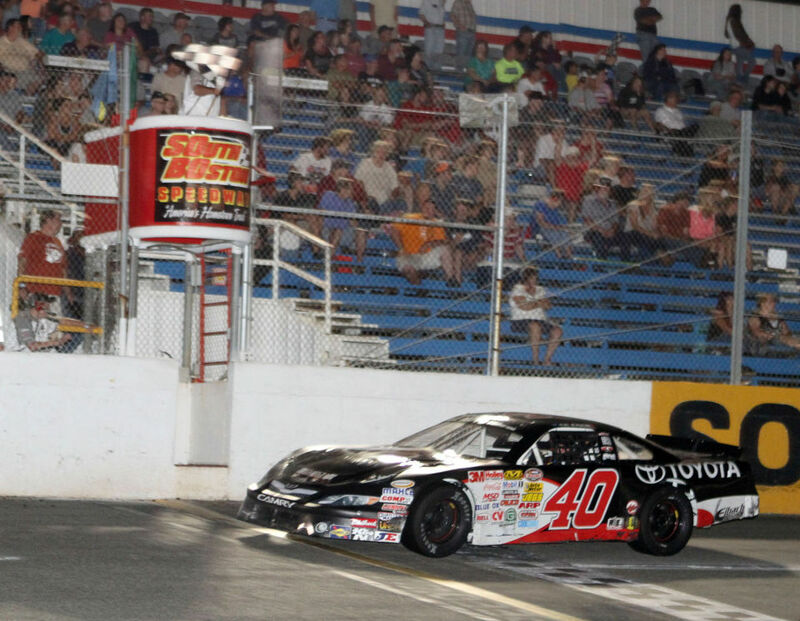 Falk also has seen victory lane in some of the largest late model stock car races within the region in his career, taking the checkers twice at the Hampton Heat 200 (Langley Speedway) & Toyota Danville 300 (South Boston). I was unable to get back in touch with C.E. before the post of his interview so please excuse the lack of information about his move to Charlotte. I do know he has moved to Charlotte to help his uncles Sprint Cup team Hillman Racing as a suspension mechanic. As of right now he will run a part-time schedule at South Boston Speedway. Click the link to see the rest of our interview with C.E. !